Contiguous, undisturbed land is beneficial for humans and animals alike by providing wildlife corridors and indispensable ecological functions. The Black River watershed is one of these places. In our 30 years, we have ensured over 2,000 acres of wetland, associated upland forest and riparian habitat is forever protected in this important watershed. But what happens when no one’s looking? 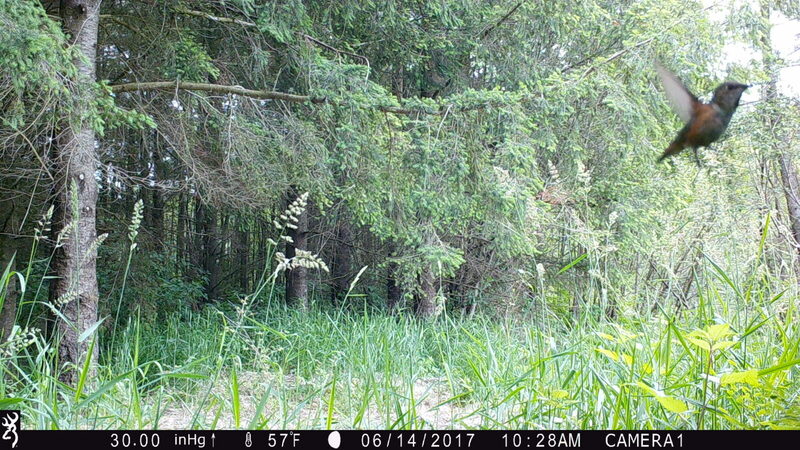 Curious, we placed several trail cameras on properties in the Black River watershed to see what roams the land. 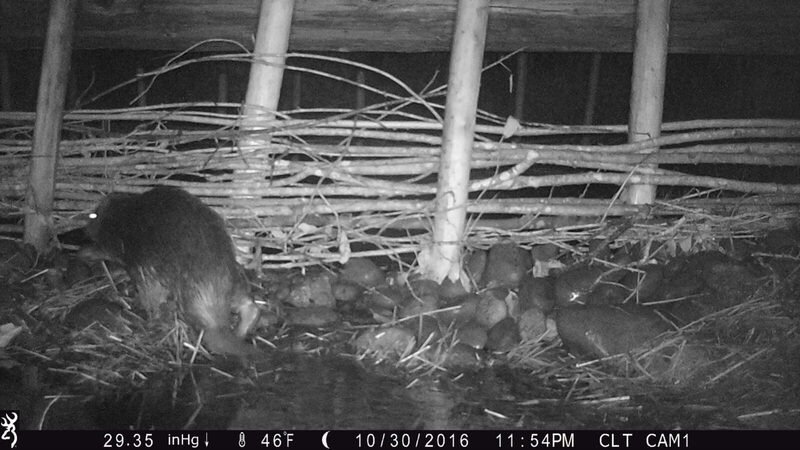 Beavers, North America’s largest rodent, were captured working on a dam, maintaining the pond environment they prefer. Their presence indicates a dynamic habitat, providing for many fauna species, including deer, birds, other mammals, and some amphibians. Large wetland and upland forest systems support omnivorous black bears, foraging for whatever food is readily available. 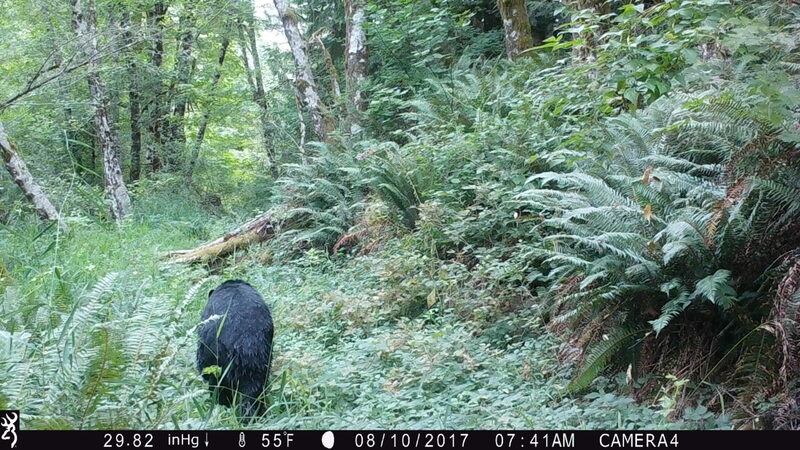 Black bears rely on large forested pieces of land. 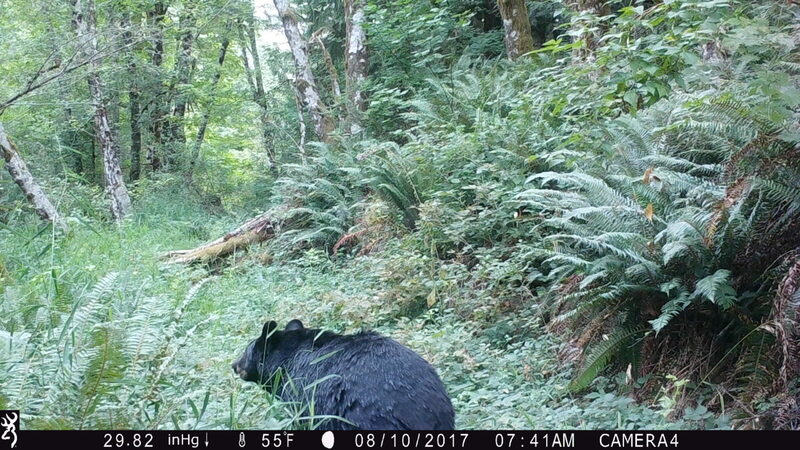 In this bear’s habitat, a salmon-bearing stream was recently restored, increasing the capability of the land to support larger fauna. We live in a fast-growing region of the United States; ensuring that at-risk natural areas are protected and restored is what we do! Photographing these animals on camera reminds us how important contiguous natural areas are. Together, these lands build resilience for a rapidly changing region; Capitol Land Trust strives to protect the lands, waters, and habitats that sustain us all. 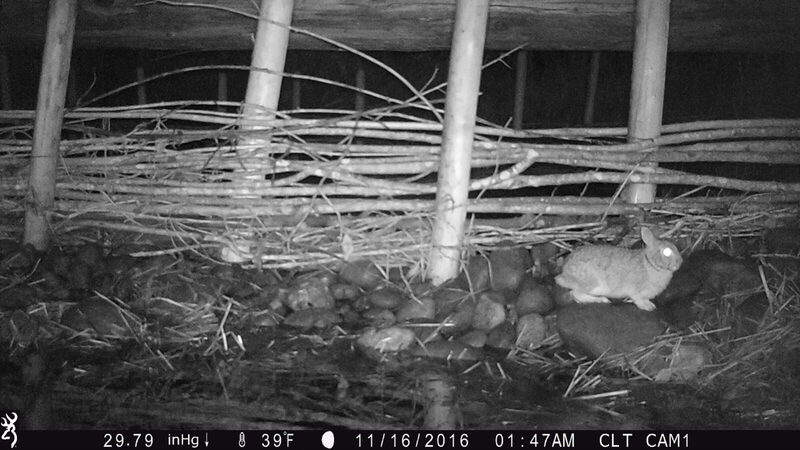 With only 4 stationary cameras, we captured 13 different species. 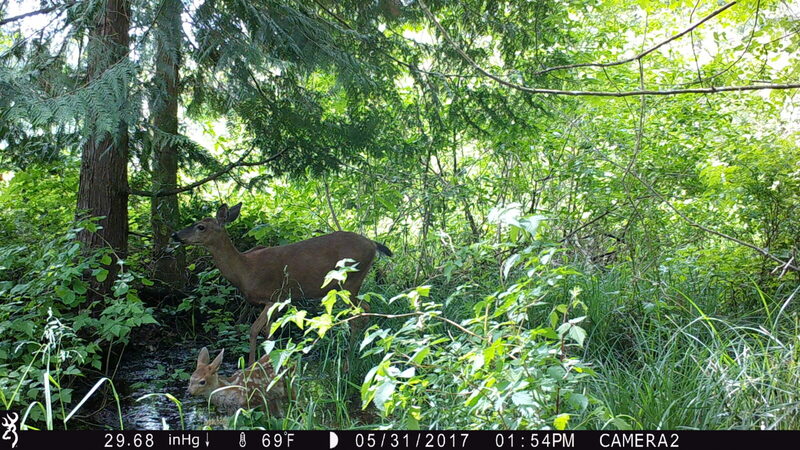 Check out our Facebook Album for more wildlife photos!